Lisa M. Donofrio, MD, began her term as President of the American Society for Dermatologic Surgery (ASDS) at the 2017 ASDS Annual Meeting in Chicago. I plan to serve with a balanced perspective that is representative of all of our membership, inclusive of Mohs’ and cosmetic dermatologic surgeons alike. Lisa M. Donofrio, MD, began her term as President of the American Society for Dermatologic Surgery (ASDS) and American Society for Dermatologic Surgery Association (ASDSA) at the 2017 ASDS Annual Meeting in Chicago. Along with her fellow officers and the ASDS / ASDSA Boards of Directors, Dr. Donofrio assumes leadership of the largest specialty organization exclusively representing dermatologic surgeons. Dr. Donofrio has been in private practice for 23 years. 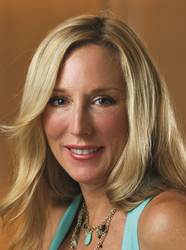 She owns Aria Dermatology in Madison, Connecticut and co-owns the Etre Cosmetic Dermatology and Laser Center in New Orleans, Louisiana with Kyle Coleman, MD. She is also Associate Clinical Professor in the Department of Dermatology at both Yale University School of Medicine and Tulane University School of Medicine. Dr. Donofrio has contributed to various ASDS committees, including the Tradeshow, Annual Meeting and Awards Work Groups; Strategic Planning and Patient Photographic Consent Task Forces; and Physicians Aesthetic Coalition. She is an Assistant Editor of the Dermatologic Surgery journal. Dr. Donofrio succeeds Thomas E. Rohrer, MD, who became the Society’s Immediate Past President.